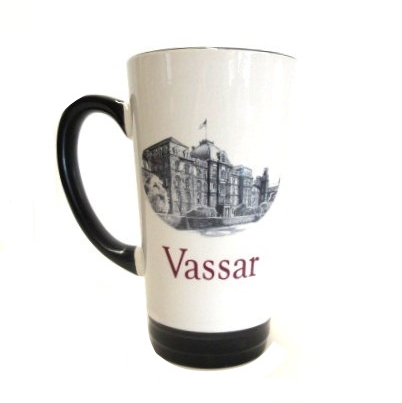 "Seasons greetings from Vassar College"
We love the look of this Bistro Mug, The pewter emblem pops against the white ceramic glaze. 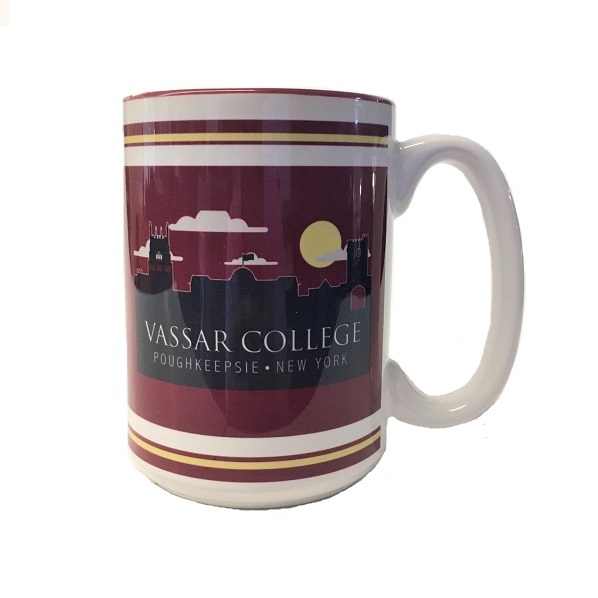 It would look great displayed but its meant to be used and enjoyed. 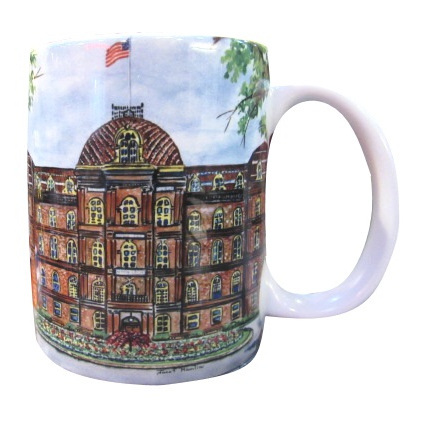 Every coffee drinker will appreciate this one. 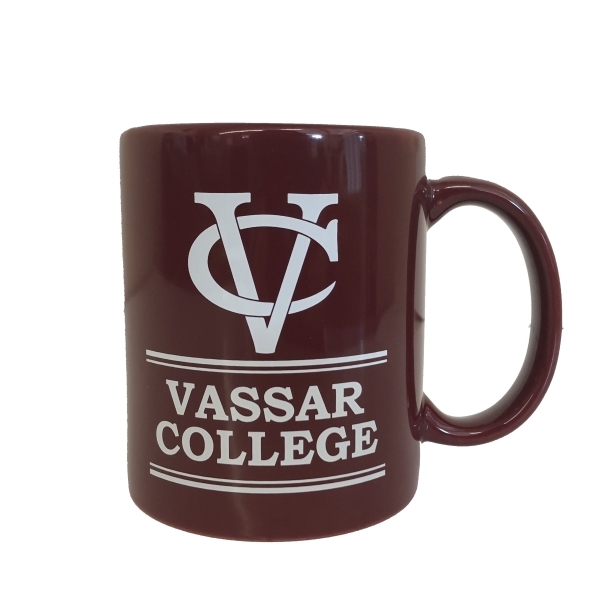 Value Priced Maroon mug with Vassar logo on both sides, we didn't forget the south paws. 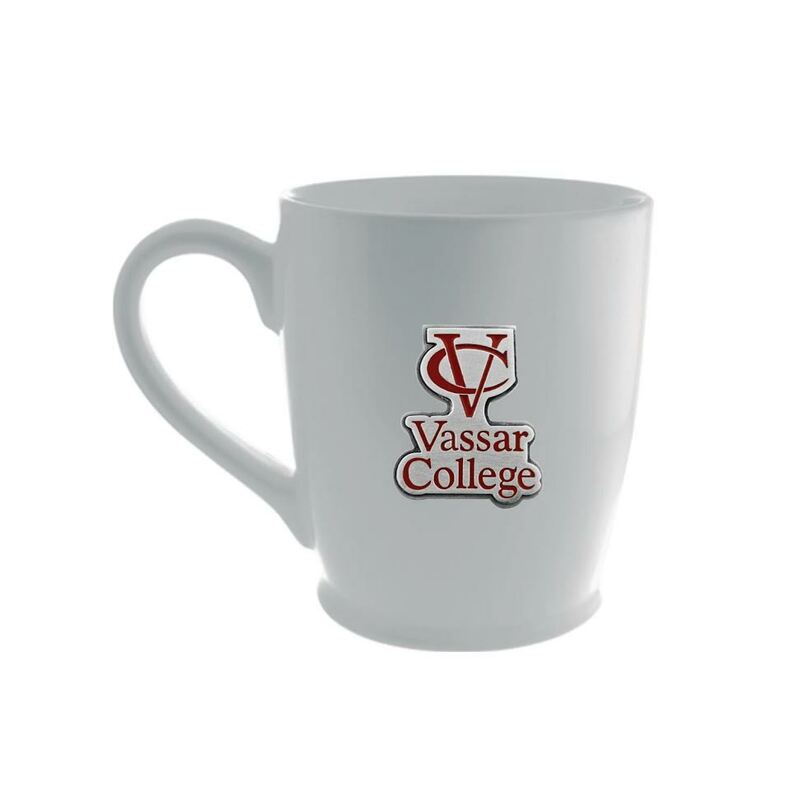 This Glass is styled after a Solo cup, it is the all purpose glass and bears the Vassar emblem in hand painted pewter. 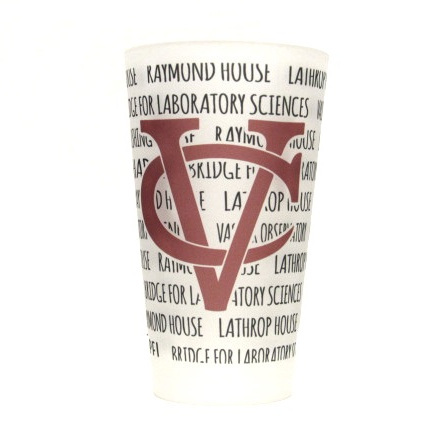 This will become your favorite everyday glass, you may need to buy more than one! 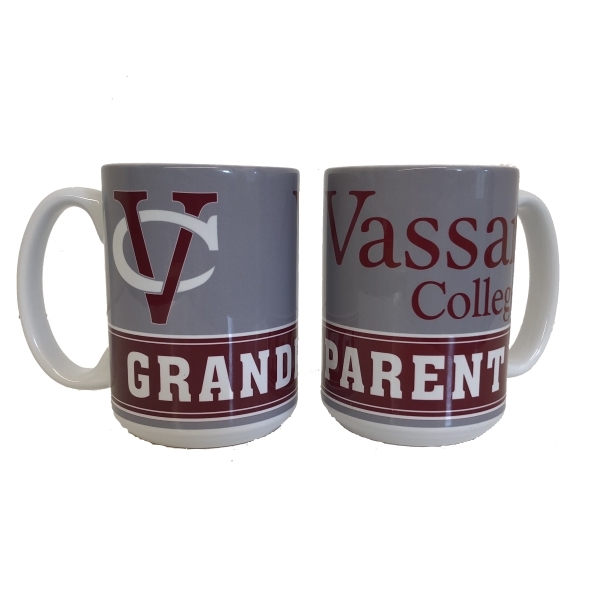 Newly designed Grandparent 15OZ Mug with interlocking VC and Vassar College logo. 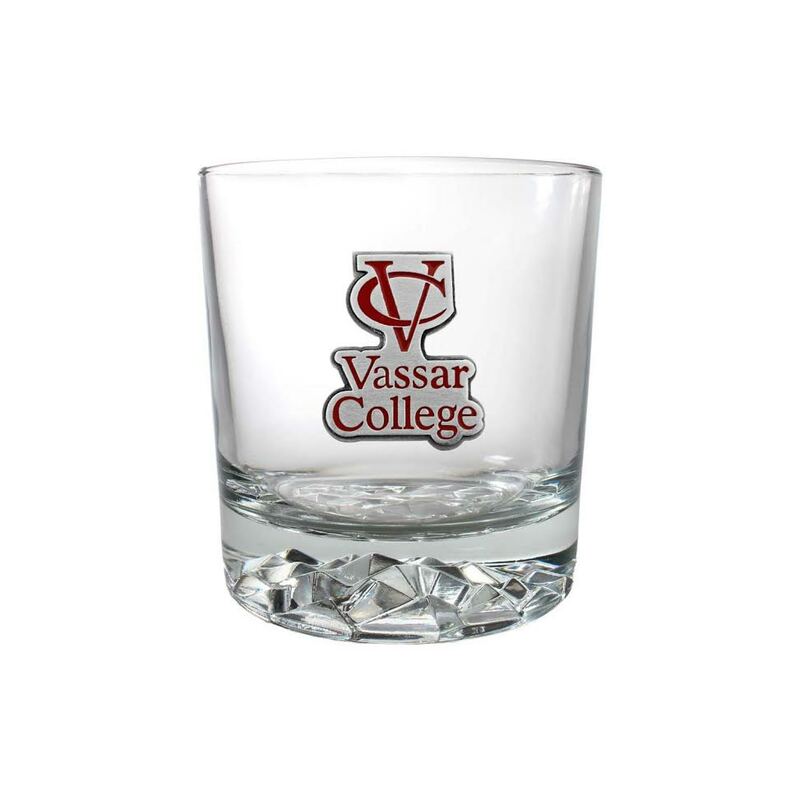 One of our newest additions, this Rocks glass features a hand painted pewter Vassar emblem. 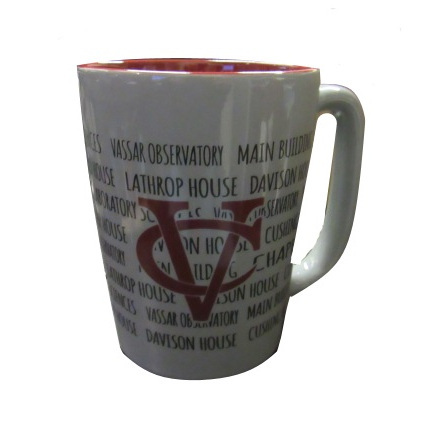 Great gift or perfect for enjoying your favorite scotch at the end of a long day. 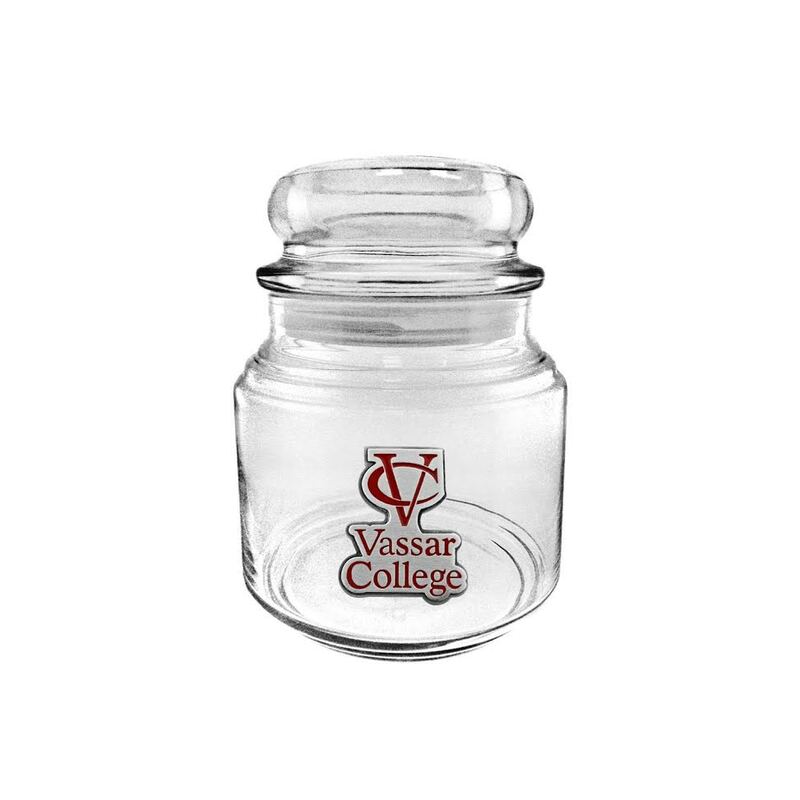 This candy jar is the perfect size for your desk top and makes a great gift. 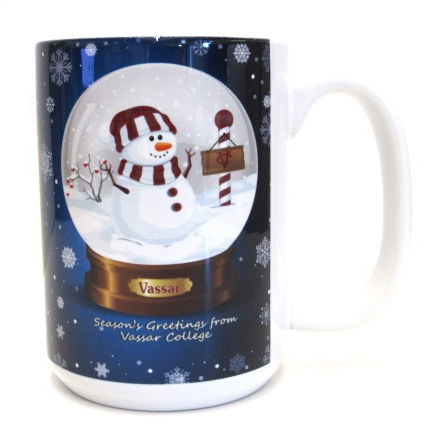 how about filling it with your favorite M&M's or order the custom ones and make this a truly personal gift? 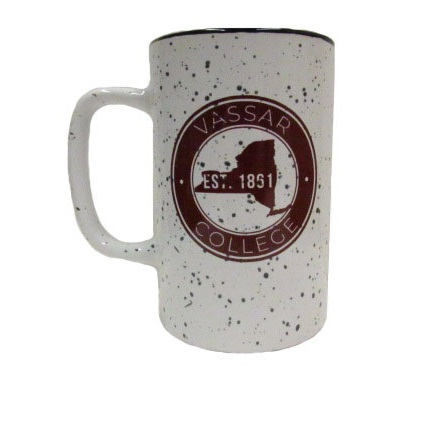 The hand painted Pewter emblem makes this item look much more expensive than you would imagine. 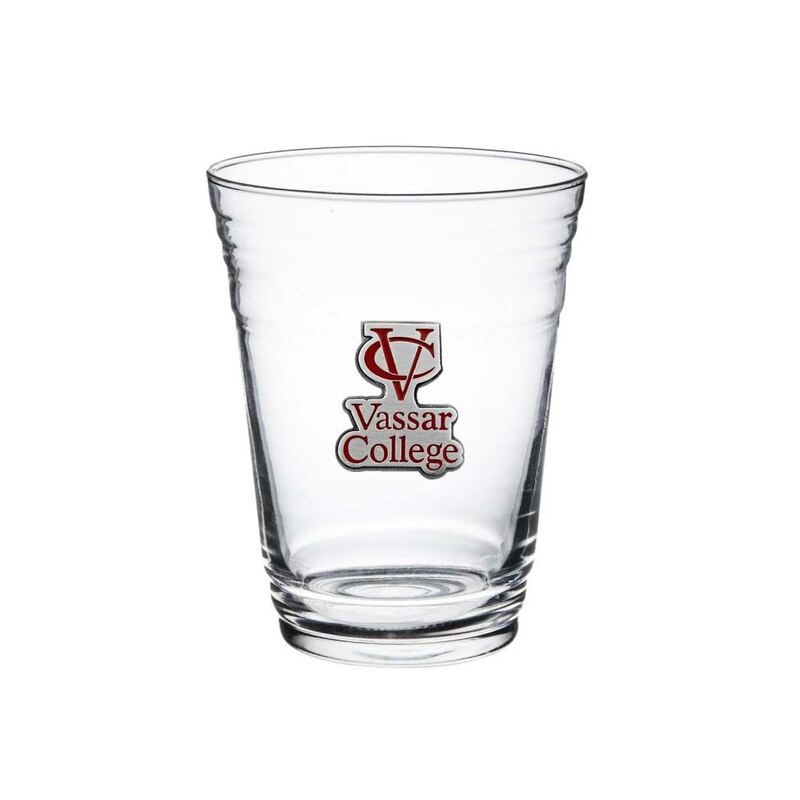 2OZ Fluted Shot Glass with interlocking VC on one side and Vassar college logo on the other. 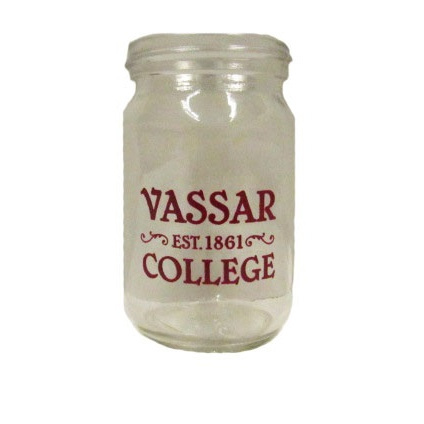 Mini Mason Jar 4OZ shot glass with Vintage Vassar logo and established date. 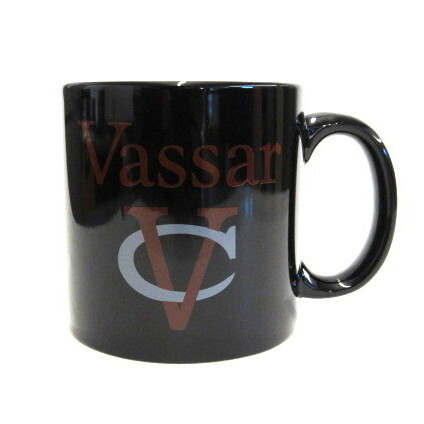 Etched Vassar Logo on a SWELL 16OZ Traveler. 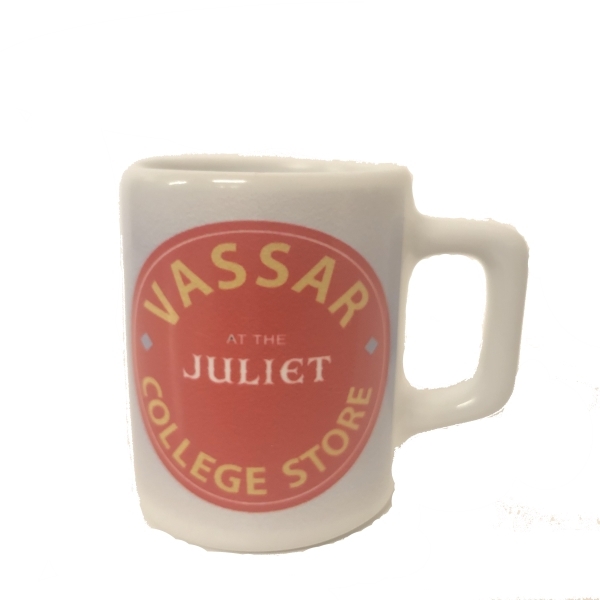 Perfect for your hot beverage up to 12 hours and your cold beverage for 24 Hours. Triple walled 18/8 stainless steel. Please select option for SWELL 16OZ TRAVELER. 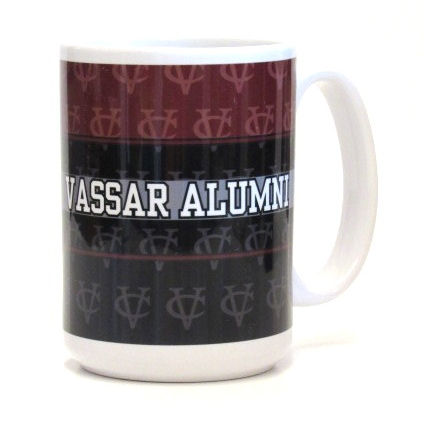 Show your pride with this exclusive VC Rainbow Mug.